Leucism is a form of incomplete partial albinism in which the eyes, bill, and legs remain normally colored, while the plumage has decreased pigmentation. 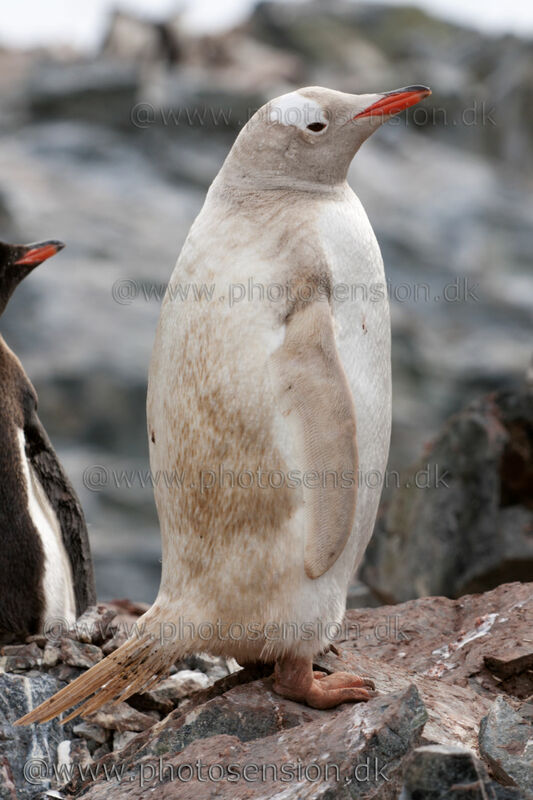 Only one of 20.000 Gentoo penguins is leucistic - see Prevalence of Leucism in Pygocelid Penguins of the Antarctic Peninsula. Leucistic penguins have been spotted on a number of breeding sites throughout the Antarctic Peninsula. It is a rare sight - I have only seen a few of these birds - this one and a Chinstrap on Deception Island. This one was spotted on Couverville Island in the Antarctic Peninsula in January 2003. We also saw a leucistic Gentoo at Couverville in 2008, but it was deep into a restricted part of the island, so it was not possible to see if it was the same bird. 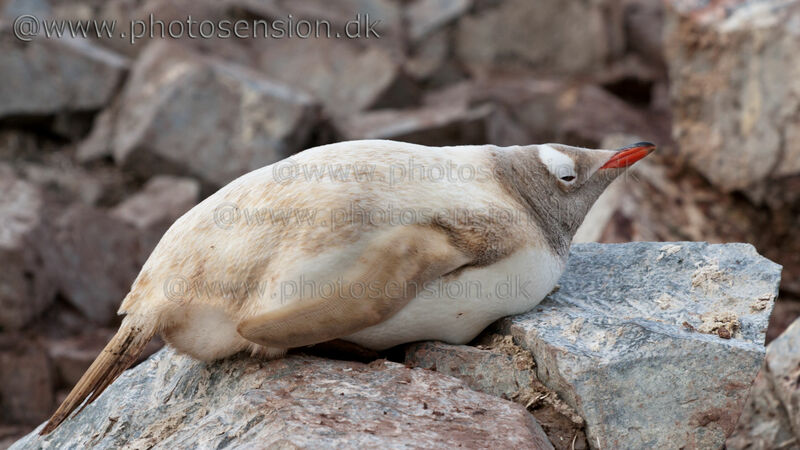 Leucistic (pale plumage) Gentoo Penguin. This one was spotted on Couverville Island in the Antarctic Peninsula in January 2003.